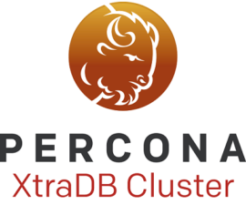 In this blog post, we’ll look at the actions and efforts Percona experts took to scale Percona XtraDB Cluster. When we first started analyzing Percona XtraDB Cluster performance, it was pretty bad. We would see contention even with 16 threads. Performance was even worse with sync binlog=1, although the same pattern was observed even with the binary log disabled. The effect was not only limited to OLTP workloads, as even other workloads (like update-key/non-key) were also affected in a wider sense than OLTP. Within the “Persistent Stats” subsystem, among other things. A software-based distributed caching system such as memcached is an important piece of today's largest Internet sites that support millions of concurrent users and deliver user-friendly response times. The distributed nature of memcached design transforms 1000s of servers into one large caching pool with gigabytes of memory per node. This blog entry explores single-instance memcached scalability for a few usage patterns.